This week, I once again presented on the need for recognising obesity as a chronic disease at the annual European Society for the Study of Obesity Collaborating Centres for Obesity (EASO-COMs) in Leipzig, Germany. Coincidently, The Lancet this week also published a commentary (of which I am a co-author) on the urgent need to change the obesity “narrative”. 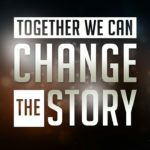 So far, the prevailing obesity “narrative” is that this is a condition largely caused by people’s lifestyle “choices” primarily pertaining to eating too much and not moving enough, and that this condition can therefore be prevented and reversed simply by getting people to make better choices, or in other words, eating less and moving more. As pointed out in the commentary, this “narrative” flies in the face of the overwhelming evidence that obesity is a rather complex multi-factorial heterogenous disorder, where long-term success of individual or population-based “lifestyle” interventions can be characterised as rather modest (and that is being rather generous). This new narrative must incorporate four dimensions. Not discussed in this paper (largely due to space limitation), is my pet peeve, that we also need a new non-anthropometric definition of obesity – one that relies on actual health measures rather than just scales and measuring tapes. As we move to a “disease” definition of obesity, we need to ensure that we are not mis-labeling healthy individuals as “diseased” just because they happen to exceed a certain body weight, as well as the corollary, mis-labeling individuals who may stand to benefit from obesity treatments as not having obesity just because they fall below an arbitrary BMI cutoff. While at the level of the individual, clinicians are beginning to acknowledge the vast body of research now showing that “lifestyle” approaches to managing obesity (“eat-less move more”) result in minimal outcomes (3-5% sustainable weight loss at best), public health attempts to address the obesity epidemic continue to perpetuate the myth that obesity (and its prevention) is simply about getting people to eat better and move more (with very little evidence to show that such measures can be implemented at a population level to effect any noticeable change in obesity rates). In an article I co-authored with Ximena Ramos-Salas, published in Current Obesity Reports, we provide an in-depth overview of current public health policies to address obesity in Canada and argue that the “narrative” underlying these policies is an important driver of weight-bias and discrimination and significantly hindering efforts to provide Canadians living with obesity better access to obesity prevention and treatment efforts. 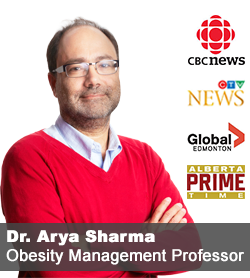 This “world-view” of obesity at the level of policy makers has a significant impact on the willingness and capacity of health systems to provide access to evidence-based obesity treatments to the nearly 7 million Canadian adults and children living with this chronic disease – in fact, the unwillingness to even consider obesity a chronic disease is a big part of the problem. “Adopting a chronic disease framework for obesity would imply that both prevention and management strategies need to be implemented. Within this chronic disease context, public health should ensure that strategies do not have unintended consequences for individuals and populations, such as perpetuating weight bias. There is now sufficient evidence demonstrating that weight bias and obesity stigma are fundamental drivers of health inequalities. Public health has an opportunity to leverage existing health promotion frameworks such as the health for all policy framework and the global plan of action on social determinants of health to address weight bias and obesity stigma”. Canadian provincial and territorial governments, employers, and the health insurance industry should officially adopt the position of the Canadian Medical Association and the World Health Organization that obesity is a chronic disease and orient their approach/resources accordingly. Canadian provincial and territorial governments should recognize that weight bias and obesity stigma are significant barriers to helping people with obesity and enshrine rights in provincial/territorial human rights codes, workplace regulations, healthcare systems, and education policies. In an era of people-centered health care, public health and health system decision makers should engage people with obesity in the development of policies and strategies. Having active participation of individuals with obesity can help change negative attitudes and beliefs about obesity and facilitate the development of compassionate and equitable health promotion strategies. Employers should recognize and treat obesity as a chronic disease and provide coverage for evidence-based obesity treatments for their employees through health benefit plans. Provincial and territorial governments should increase training for health professionals on obesity prevention and management. Existing Canadian Clinical Practice Guidelines for the management and treatment of obesity in adults should be updated to reflect advances in obesity management and treatment in order to support the development of evidence-based programs and strategies by health systems, employers and health insurance companies. 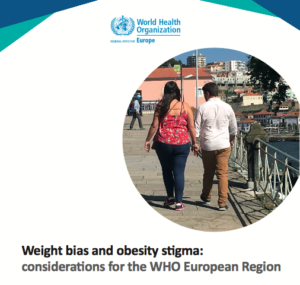 Yesterday (World Obesity Day), the European Regional Office of the World Health Organisation released a brief on the importance of weight bias and obesity stigma on the health of individuals living with this condition. “Research shows that 47% of girls and 34% of boys with overweight report being victimized by family members. When children and young people are bullied or victimized because of their weight by peers, family and friends, it can trigger feelings of shame and lead to depression, low self-esteem, poor body image and even suicide. Shame and depression can lead children to avoid exercising or eatng in public for fear of public humiliation. Children and young people with obesity can experience teasing, verbal threats and physical assaults (for instance, being spat on, having property stolen or damaged, or being humiliated in public). They can also experience social isolation by being excluded from school and social activities or being ignored by classmates. Monitor and respond to the impact of weight-based bullying among children and young people (e.g. through an -bullying programmes and training for educa on professionals). Do programmes and services simplify obesity? Do programmes and services use stigmatizing language? avoiding photographs that perpetuate a stereotype (e.g. ea ng junk food, engaging in sedentary behaviour) and do not share context with the accompanying wri en content. • Adopt people-first language in health systems and public health care services, such as a “patient or person with obesity” rather than “obese patient”. • Engage people with obesity in the development of public health and primary health care programmes and services. • Address weight bias in primary health care services and develop health care models that support the needs of people with obesity. explore all possible causes of a presenting problem, and avoid assuming it is a result of an individual’s weight status. 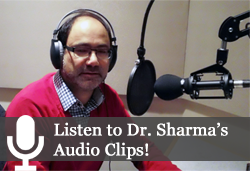 Acknowledge the dificulty of achieving sustainable and significant weight loss. Consider the unintended consequences of simplistic obesity narratives and address all the factors (social, environmental) that drive obesity. Promote mental health resilience and body positivity among children, young people and adults with obesity. sensitize health professionals, educators and policy makers to the impact of weight bias and obesity stigma on health and well-being. Hopefully, these recommendations will find their way into the work of everyone working in health promotion and clinical practice. The whole brief is available here. This morning, I am presenting a plenary talk in Berlin to about 200 colleagues involved in childhood obesity prevention. The 1-day symposium is hosted by Plattform Ernährung und Bewegung e.V. (Platform for Nutrition and Physical Activity), a German consortium of health professionals as well as public and private stakeholders in public health. Although, as readers are well aware, I am by no means an expert on childhood obesity, I do believe that what we have learnt about the complex socio-psycho-biology of adult obesity in many ways has important relevance for the prevention and management of childhood obesity. Not only do important biological factors (e.g. genetics and epigenetics) act on the infant, but, infants and young children are exposed to the very same societal, emotional, and biological factors that promote and sustain adult obesity. Thus, children do not grow up in isolation from their parents (or the adult environment), nor do other biological rules apply to their physiology. It should thus be obvious, that any approach focussing on children without impacting or changing the adult environment will have little impact on over all obesity. This has now been well appreciated in the management of childhood obesity, where most programs now take a “whole-family” approach to addressing the determinants of excess weight gain. In fact, some programs go as far as to focus exclusively on helping parents manage their own weights in the expectation (and there is some data to support this) that this will be the most effective way to prevent obesity in their offspring. As important as the focus on childhood obesity may be, I would be amiss in not reminding the audience that the overwhelming proportion of adults living with obesity, were normal weight (even skinny!) kids and did not begin gaining excess weight till much later in life. Thus, even if we were somehow (magically?) to completely prevent and abolish childhood obesity, it is not at all clear that this would have a significant impact on reducing the number of adults living with obesity, at least not in the foreseeable future. Let us also remember that treating childhood obesity is by no means any easier than managing obesity in adults – indeed, one may argue that effectively treating obesity in kids may be even more difficult, given the the most effective tools to managing this chronic disease (e.g. 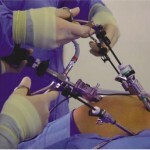 medications, surgery) are not available to those of us involved in pediatric obesity management. Thus, I certainly do not envy my pediatric colleagues in their struggles to provide meaningful obesity management to their young clients. I am not sure how my somewhat sobering talk will be received by this public health audience, but then again, I don’t think I was expected to fully toe the line when it comes to exclusively focussing on nutrition and activity (as important as these factors may be) as an effective way to prevent or even manage childhood obesity.